Plus500 is a “bucket shop” that offers customers derivative interests without transacting on an exchange. Shockingly, that’s not illegal in Europe. This post is intended as background to explain how the model works. Before delving into the company’s financials in detail, I must first confess my own initial naïveté regarding the company’s business model. Although it’s spelled out quite clearly in the Admission Document that Plus500 profits directly from customer trading positions, I found it hard to believe at first. 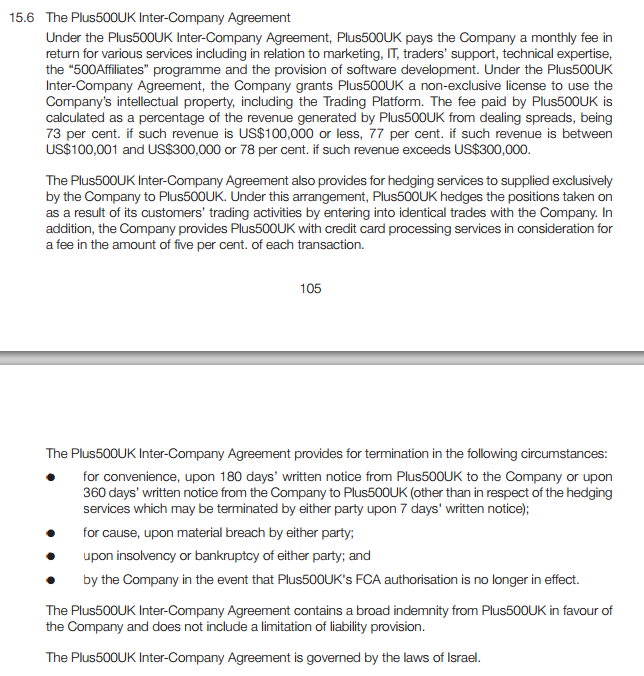 It is important to understand that Plus500 operates a form of legalized gambling, not a typical retail securities brokerage model that might be more familiar to American readers. When a customer purchases or sells a CFD through Plus500, Plus500 acts as the counterparty in a bilateral wager with the customer tied to the price of some underlying instrument. In other words, Plus500 is on the other side of the trade against its own customers. This is precisely the bucket shop model outlawed in the United States in the 1920s. When combined with high levels of leverage and no requirement to provide the same price that could be obtained on a recognized exchange, the potential for abuse should be readily apparent. In its 2014 annual report, Plus500 claimed to be profitable on 349 trading days, up from 297 in 2013. This is startling not only because of its consistency. It is also remarkable because a typical trading year has only 252 trading days, depending on the timing of holidays and weekends. If Sunday nights are included (when interbank forex markets are open) there are still only 304 trading days. Evidently, Plus500 is also profitable on Saturdays when underlying securities markets are not even open! This is only possible because Plus500 trades against its customers without executing offsetting transactions on an exchange. Plus500 filings state that the majority of positions are not held overnight, and investor relations informed me that customers make many small deposits over the course of the year and that the company may have gross exposure of $70-80 million at any given time. 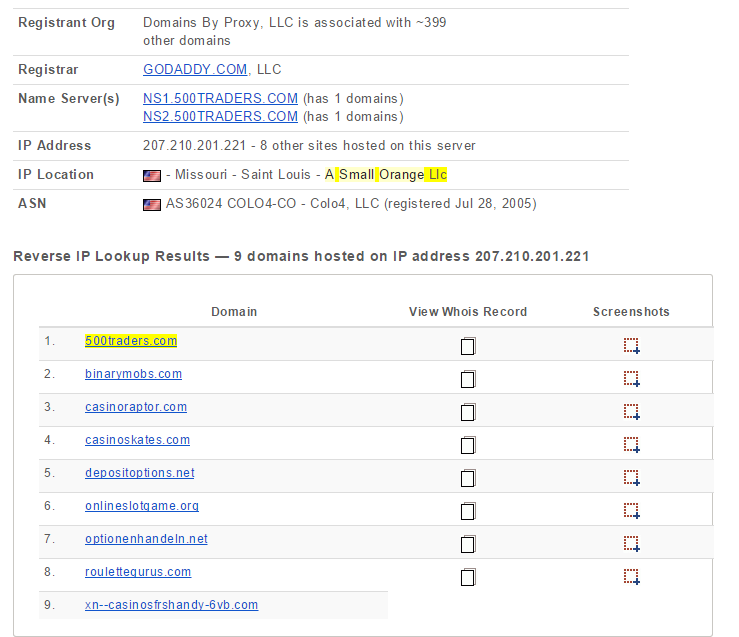 The company’s representative estimated that total deposit and withdrawal volume in 2013 was $300 million. Each of these figures, if true, is significantly higher than the point-in-time amounts shown on the year-end balance sheet. However, given the size of its balance sheet and level of customer positions and equity, the reported turnover is still eye-popping. Dan McCrum wrote about this point already, but it is worth emphasizing. Plus500′s reported revenue in 2014 was 6.5 times the total amount of customer equity at year-end. If the $300 million estimate is correct, Plus500 captured for itself an astonishing 38% of the total amounts customers deposited to trade in 2013. Despite this, according to company reports, customer losses have declined dramatically as a proportion of Plus500′s revenue, from 18% in 2011 to 1% in 2014. For Plus500 to generate the reported level of turnover from fees and spreads alone, the trading volumes on the platform must be staggering in relation to customer balances, implying very high average leverage on the platform. A January Numis note estimated trading volume at $160 billion in 2014 assuming a typical average round-trip spread of 20 bps. Their estimate of 150x average leverage is consistent with management estimates of total transaction numbers in the tens of millions and average notional transaction size in the tens of thousands. 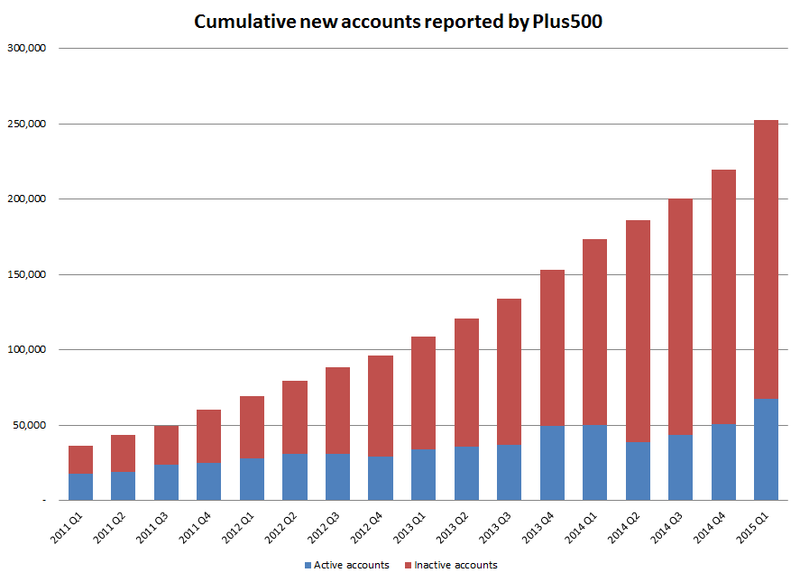 Plus500 would appear to have created a clever means by which customers lose money slowly, over many transactions, rather than all at once. Given the typical intraday volatility of many of the products underlying Plus500′s CFDs, it is frankly rather surprising to me that with such high leverage and so much transaction volume that more customers don’t lose money due to margin violations. I question whether the notional volume on the platform is as high as estimated above or if the contribution from customer losses to revenue might be greater than the 1% claimed. To the extent Plus500 has not hedged the notional exposure from a CFD position, which it generally does not do except on a portfolio level (more on this in part 10), then Plus500 recognizes the lost deposit amount as trading revenue when the position is closed. Good for Plus500, if not for the customers.